Anybody know how to use this or where to find a tutorial? Extract the 8 million embedded archives until you get the "RSD_09_16" folder. 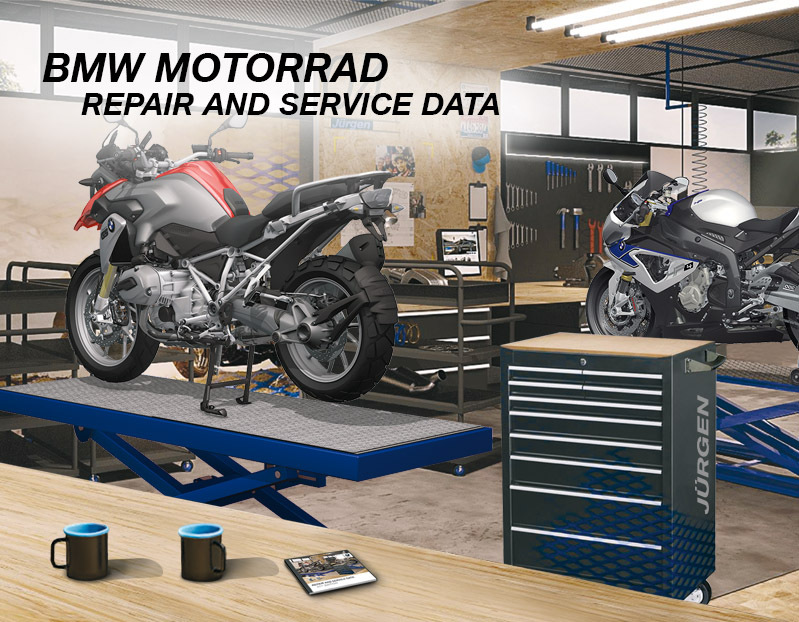 Click on the "Technical Service Data" tab. Select a heading on the right, for example "engine". Select what you want to do from the list. 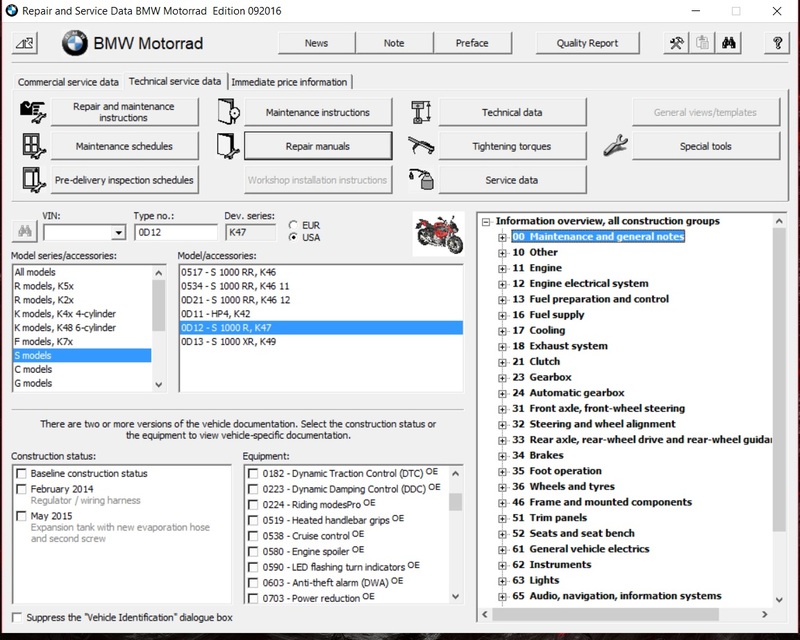 Alternatively, click on "Tightening Torques" for torque specs, "General views/templates" for images, and "Special Tools" for BMW part numbers for specialty tools. Thanks zombie. Just what I was looking for. if you take the last 7 digits of your VIN and plug those in, it will auto-populate the rest. Thanks Simon. Do you know what the 0703 Power Reduction feature is? Probably for countries where there is a mandated restriction on hp. I know France used to have a 100hp max. ....and that only ended a few years ago.. I went to the Bol'Dor in the early 90s and it very common to see British(and other European) bikes having had items like carburetors , ignitions and even exhaust systems stolen as these where the key restrictions to the French bikes back then. 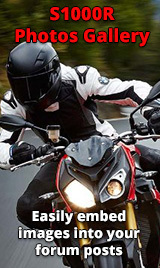 I feel for the Swiss most, I believe there motorcycle licencing laws have an upper limit of just 77BHP. 2014 Toyota Taco - The "its raining" or "its under 30°F out"